My son wants to do a science project related to a video he saw about ants not crossing a marker boundary. We assume this has to do with pheromones or rather chemicals in the markers. We have tried to find research related to this, however very little has been found by him. Wondering if you know of any research about this? Before going into the question, first let’s make sure we are clear about terminology. A pheromone is a chemical scent that animals use to communicate with other members of their species. (You can see more about ant pheromones in this previous post.) An ant repellent, on the other hand, is any chemical that keeps ants away. They are not, however, mutually exclusive. It is possible for a pheromone to repel other members of the colony, for example virgin queen honey bees produce a pheromone that tells worker honey bees to back off. Returning to the marker problem, what could be going on? It could be the chemicals in the marker act as an ant repellent. The ant is repelled by the line and refuses to cross it. It makes sense that ants respond to any novel or harmful chemicals by backing away or avoiding them. In a paper in Journal of Chromatography A, scientists found all sorts of chemical compounds in pen ink that ants might want to avoid, including methylbenzene and xylene. Another possibility that the marker has wiped away the trail pheromone trail that told the ant where to go. Foraging ants that find food mark the surface with chemicals as they return to the nest. 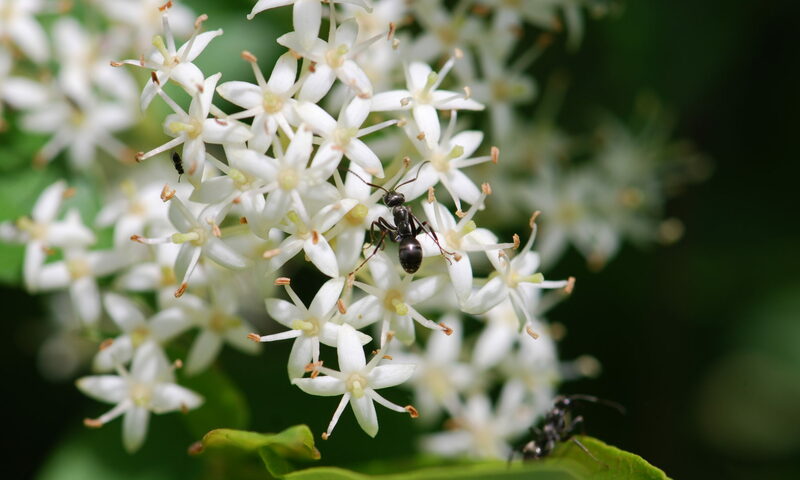 As more ants pass back and forth, more and more pheromone builds up. Depending on the foraging strategies of the ants, some trails can be dense with worker ants. Similarly, when ants are moving from one nest to another, they will lay and follow a pheromone trail. You can disrupt a pheromone trail with chalk or even with your finger. The behavior looks pretty similar doesn’t it? A third possibility is that it is a little bit of both: the marker wipes away the trail and also repels the ant. Rather than give you all the answers, think about way you might be able to figure out which of the possibilities are likely and how to test for them. A hint: what happens if you draw a pen circle around an insect or spider that doesn’t have a pheromone trail? Do they act the same way? 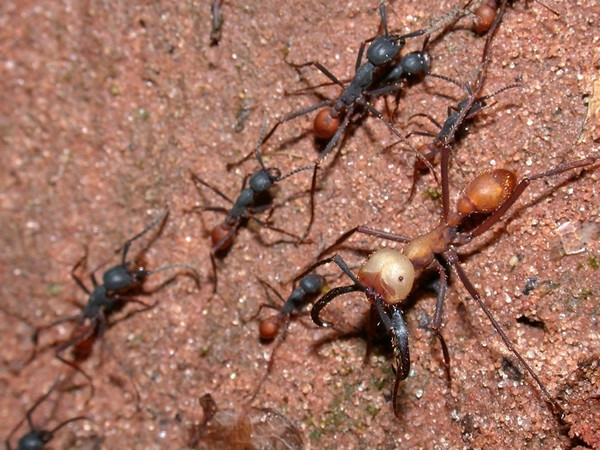 Public domain image of army ants by Alex Wild.